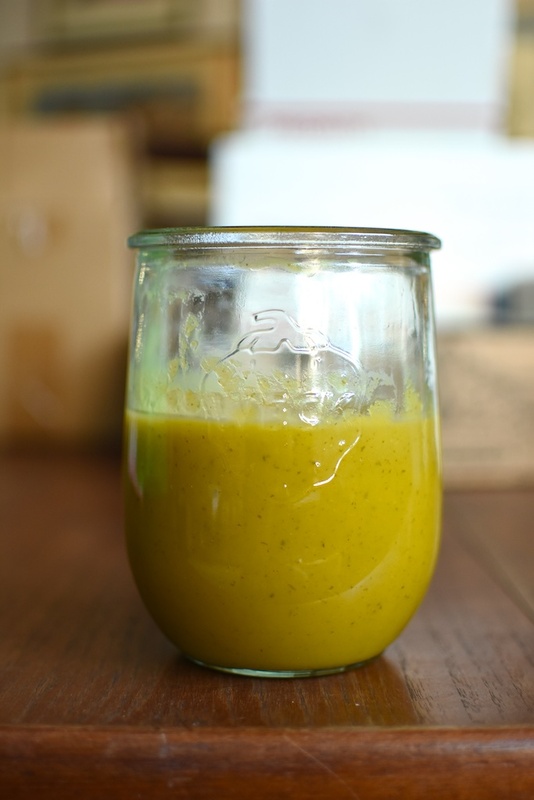 A couple of nights ago, I spent a little time hanging out on Facebook making a little batch mango sauce flavored with fresh mint and lime. I chose to make this particular preserve because a few days earlier, I had bought a bag of six very ripe champagne mangos for $2. They were on the their last legs and needed to be used most urgently. 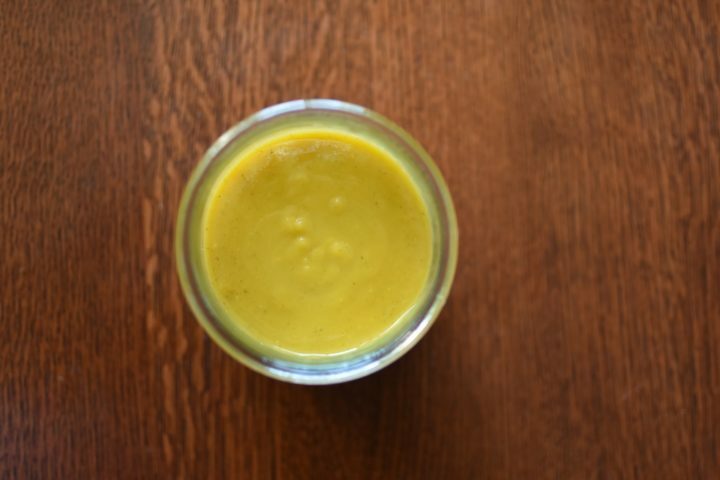 I chose to include mint because it’s herb month in the Mastery Challenge and because it’s delicious with mango. Finally, the lime joined the party to bring a bit of brightness. As I contemplated this preserve, I thought a lot about what to call it (mostly because I wasn’t sure what the finished consistency of the thing I was making would be). At first I imagined it as a jam, or perhaps more of a butter. But as it cooked down, I saw clearly that it was going to be more of a sauce. Happily, as a sauce, it is a most delicious and useful thing. So far, I’ve stirred it into plain yogurt, added it to a smoothie, and have stolen spoonfuls from the jar when in need of something sweet. Because it was such a small batch, I didn’t go to the trouble of running it through a boiling water bath (I was also concerned about the acidity because mangos are a relatively low acid fruit). If you’d like to see me (and my increasingly giant baby belly) make this preserve, you can watch the livestream right here. Pour the mango puree into a saucepan. In the carafe of your blender, combine the sugar and mint and blend until combined. Add this mint sugar to the mango. Finally, add the lime zest and juice. Place the pot on the stove over high heat and bring to a low bubble. Reduce the heat to medium and cook for 10 to 15 minutes, stirring constantly, until the mango reduces a bit. When you like the consistency, remove the pot from the heat. Position a fine mesh sieve over a small mixing bowl and pour the mango sauce through the sieve. Work it with a silicone spatula, until all that remains in the sieve is bits of lime zest and mint. 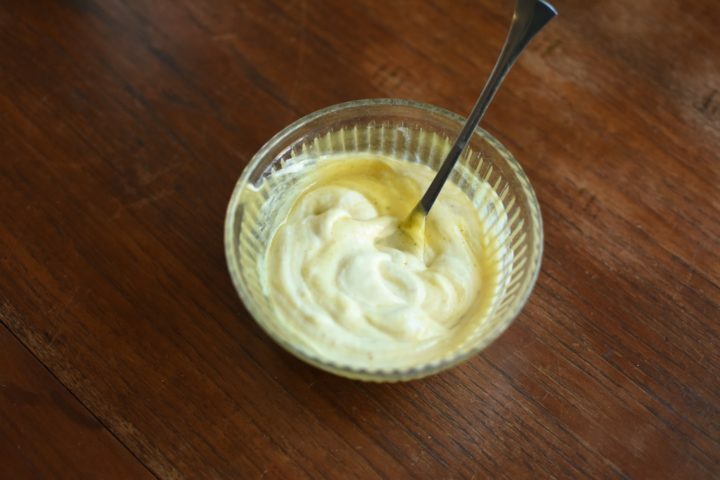 Pour the finished mango sauce into a container and refrigerate. The sounds delicious. Any idea how long it will last in the fridge? I find that things with this level of sugar typically lasts 2-3 weeks. If that’s not long enough, you could also freeze a portion.